Floyd Mayweather rips former UFC lightweight and featherweight champion Conor McGregor and boxing superstar Canelo Alvarez in his latest rant. Another day, another story, another time that the boxing legend gets his name mentioned online. This week, Mayweather has been quite opinionated about any topic that he sees he can make some money on. 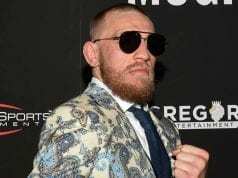 He’s talking up a potential showdown against UFC lightweight champ Khabib Nurmagomedov in a boxing ring or a rematch against McGregor also in boxing. There is some history between Mayweather and Alvarez as Mayweather beat him back in 2013 and claimed it was the easiest fight of his career. Apparently now, he says that it includes his fight against the UFC’s superstar. Alvarez went on record by telling TMZ Sports that he would like to have a rematch against Mayweather in order to settle their feud once and for all. This was a shot at Alvarez who tested positive PED test before the rematch against GGG. It turns out that Alvarez blamed the failed drug test on tainted Mexican beef. Floyd then took a shot at McGregor by calling him “Connor McQuitter” and that he was a way better fighter than Alvarez, who cheated. According to Mayweather, he would beat the breaks off him as well. This is when money became a topic as he brought up Canelo’s new $365 million contract with DAZN, which requires Canelo to take 11 fights in 5 years.